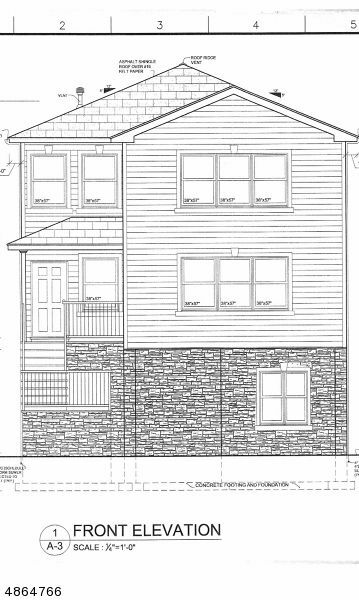 Brand New 2 Family Home 1st Floor Garage, Utility Room, Full Bath, Recreation Room with Connection to 2nd Floor with 3 Bedrooms, Living Room, Dining Room, Kitchen, 2 Full Baths. 3rd Floor 3 Bedrooms Bedrooms, Living Room, Dining Room, Kitchen, 2 Full Baths. Separate Utilities, Central AC/ Heat, Wood and Ceramic Floors, Laundry Hook-Ups, 5 Years Tax Abatement, 10 Year H.O.W. Master Baths include Double Sinks with Granite Counter Tops. Wood and Ceramic Floors.